$30 for 365 days of access to over 2,500+ maps and Coach Videos! The ONLY place where you can search MULTIPLE attributes in one search - maps also have photos from the route! Schedule these maps for your iFit equipped Treadmill, Incline Trainer, Rower, Elliptical or Bike. If you have an iFit Coach Membership, you can use these maps! Workout using street view to see new and exciting places! If your machine incline/decline adjusts to other iFit maps, they will adjust with these too! Maps on all 7 continents WITH street view! BIKES: le Tour de France, Ironman, Latoja, NYC Century, Ride the Rockies and more! ROWERS: Maps on the Amazon River, River Thames, Vienna Canals and Colorado River and more! 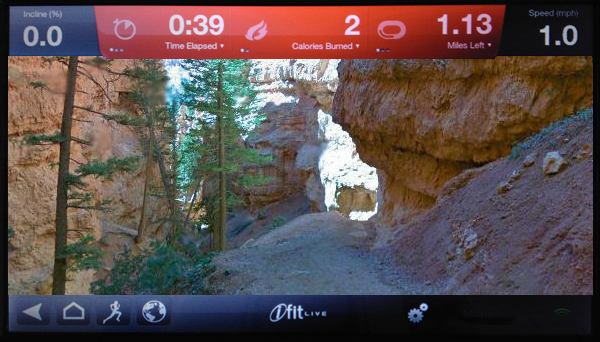 *MUST have a "Coach Membership" at www.ifit.com and have iFit® compatible equipment in order to have the ability to use these maps. We are not affiliated with iFit®, Google Inc., or Google Maps in any way.